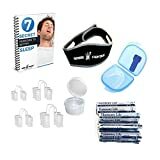 Buy Zyppah Snoring Device On Sale For the Best price! Zyppah really sounds unusual isn’t it? It is nothing but “happy” written the other way round along with Z. I am sure most of us would click on the links out of curiosity to know about Zyppah and what it is all about. Zyppah snoring device is an anti-snore appliance that improves the quality of life of the people by controlling snoring while sleeping. Most of the users gave a thumps up to this product as it has helped them solve snoring problems. Majority of the customers appreciate this product and say that this is the only oral device that works efficiently and does the job perfectly. A few customers had problem with using this mouth piece as they found it uncomfortable. Remember it is an oral appliance and every oral appliance has a setting period. Until then you will have to bear with them and cross the breaking period. It is not easy to sleep with something inside your mouth the whole night. If you follow the 1 minute plan by Zyppah you won’t feel much uneasiness with using this device. Zyppah recommends using this device one minute for the first time and then using it likewise for few days until it gets set. Soon you will find the device comfortable and easy to use. The device should be soaked in hot water and then after it gets cooled in a few second you can fit it inside your mouth which will settle soon. This device can be reheated up to three times for getting the correct fit if it is necessary. You will get an instruction booklet along with the device where you will know how to use it or you can check this video yourself. Click here. Zyppah works for all and if you have a snoring problem then you must give it a shot. You will get used to this appliance in no time and start hearing the results from your partner. If for any chance the appliance doesn’t work or seem to be creating any issues then you can consult professionals who can help you to figure out the problem. Sometimes the major culprit behind snoring can be sleep apnea which needs to be treated immediately as it can lead to several other problems. Zyppah has a national network of trained dentists who can help you to use this appliance in a better way. Feel free to contact Zyppah if you want to know more. The address will be provided at the end of the article. You need to give special care while using Zyppah snoring device. Remember it has to be worn all night inside the mouth so keeping it clean and sterile is very important. For this you can buy SNAP (a special cleaner designed by Zyppah) to cleanse the device and keep it germ free. Snap is environmental friendly and keeps bacteria, fungus and virus at bay. It helps to destroy around 99.9% of all these three microorganisms. If you are using Zyppah then snap is the best companion to keep it healthy and fit. If Zyppah is used carefully it will last for months and if you misplace it and don’t keep it with hygiene then it won’t last much. Do not use Zyppah if you are with full dentures. If one or two teeth are missing then it must not be a problem. If you fixed any new implants then wait for a year until the implants sets before using this device. You can also ask your dentist before using Zyppah under such conditions. Keeping the mouth closed is also important while using this product. It is a concern for many but in order to hold the tongue in place mouth should be closed. Most of the customers who used Zyppah could keep their mouth closed after few days of use. But for those who find it difficult you can try using a chin strap to keep the mouth closed. Chin straps are easily available and inexpensive. Also don’t try to customize it yourself as the product may wear and tear. Follow the instructions and warm the device in hot water before using it. The device will mold according to the structure of your mouth and you can use it freely without any problems. This device won’t hurt and cause wounds as it is made of soft plastic material making it comfortable to wear for the whole night. The cost of one unit of Zyppah is around $99.95. Various discounts and coupon codes are available from time to time. So please check the websites to get the best offers. Zyppah is also available at Amazon and Amazon too offers discounted rates from time to time. Have you ever felt like smothering your husband with a pillow? Or do you feel agitated over your wife’s complaints about you snoring the whole night and not letting her sleep? These are common issues and every household has someone who sleeps great but snores to the core. Thankfully my husband does not snore and all thanks to the yoga sessions he has been doing for a long time. But a friend of mine says “she loves her husband a lot for everything he is but she hates him to the core at night and the reason is his typical snoring sprees”. In this article, we will discuss in detail about snoring and about the Zyppah snoring device which helps to overcome this problem. Snoring occurs when air movement is hindered inside the nose and throat while asleep. When such situation arises vibration is produced in the surrounding tissues which echo out as snoring sound. The positioning of the tongue can also contribute to snoring and people who have floppy nose are largely prone to this problem. If you are really tired of hearing complaints from your sleeping partner and want to get rid of snoring then try to find out the root cause than trying to stop it at the first place. Once you know why you are snoring then you can easily find a remedy and put a full stop to complaints and worries. Zyppah snoring device is designed to stop snoring and it very well knows why snoring occurs. It is the simplest and easiest way to prevent your tongue from relaxing that causes hindrance in the air flow. Zyppah is a mouth piece that helps to support the jaw and holds the tongue in the right position. This helps to keep the air way passage free from barriers and gives instant results the very first day you start using this product. This is considered to be one of the best snoring devices that are of great value to customers around the world. It acts as a mouth guard along with preventing snoring problem. 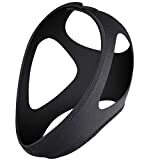 It comes in one size which fits all but before you use it you will have to boil it and then bite it so that the mouth guard fits into your mouth perfectly. Unlike those mouth guards and snoring devices that doesn’t fit and create a huge fuss while deciding about the size, Zyppah is all simple and easy to use. Aging can be a factor and of course, you can’t reverse that effect. The muscle tone and throat structure start changing that lead to a snoring sound. You can find remedies by using devices or changing lifestyle routines, indulging in yoga and special throat exercises. Obesity or being overweight is also a major cause of snoring. When fat accumulates around the tissues of the neck area, it will directly result in snoring. Start losing weight for getting rid of snoring. Your physique or how your throat structure is can also contribute to snoring. It is sometimes caused due to hereditary effects. So the causes of snoring are rather simple and can be conquered with the right techniques. In short when the tongue relaxes causing the muscles to relax which directly causes a restriction for air movement. Now the sound that is produced as an after effect of this restriction is what we call as snoring. Why Customers Love Zyppah And How Is It Different From Other Devices? Zyppah is the only snoring device that addresses the problem caused by the tongue while sleeping. Tongue is the main culprit which blocks the air passage and when the tongue is kept in its place then everything works in perfect condition. Zyppah snoring device has an elastic band at the backside of the device which holds the tongue in position and prevents snoring sounds. It is the only oral appliance available which directly hits at the root cause and prevents the whole issue. I Snore A Lot But What Is The Big Deal And Why Should I Use Zyppah? Snoring is not just a problem for you but for people who sleep along with you. Imagine how much trouble your spouse or sleeping partner would be having while trying to catch a good night sleep. Aren’t you concerned about them and their health? If not for you, at least for the sake of others you should try preventing this problem from occurring. My friend says her husband doesn’t even know that he is snoring but she had a tough time with her baby not getting enough sleep in the same room. She had to shift to another room even though the snoring sound would resonate inside the whole house but a lot better than sleeping in the same room. Snoring can cause decreased air flow which puts pressure on the heart and its functions. When oxygen supply is reduced, the body lacks the ability to heal and repair. Also if your partner doesn’t get enough sleep, he or she will be worn-out to face the next day’s hectic schedules. Lack of sleep can lead to stress, diabetes, cancer and high blood pressure. So it is high time that you make amendments in your life and prevent snoring as soon as possible. Zyppah snoring device is the best way to prevent snoring as it is specifically designed to perk up your health, your sleep and the quality of life of others who sleep and live around you. Does Zyppah Snoring Device Really Work & What Size Should I Order? The good news is that you don’t have to wait for hours or weeks to get results. Everything is instant and trust me,Zyppah snoring device really works and your partner is going to love this Zyppah. 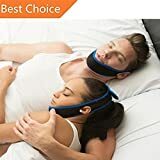 The moment you start using it and off to sleep, it will reduce and stop your snoring completely… I am sure your spouse is going to appreciate your concern about her or his sleep and give you thumbs up. About the size you don’t have to worry at all. It is an easy to use device which comes in a single size which fits all. It is developed with a concept of “boil and bite “ by an experienced dentist and fits the majority of the population. This device is made of soft and moldable material that takes the shape of your mouth. Everyone has a different structure and teeth patterns so Zyppah snoring device has been designed to suit each person’s need. Zyppah Snoring Device Is There To Help for people suffering from sleep Apnea. If you are diagnosed with sleep apnea you can try the alternative professional Zyppah instead of CPAP. This is an oral appliance that can be customized according to individual preferences to suit and prevent obstructive sleep apnea. The normal Zyppah is only designed to prevent snoring so do not use it treat sleep apnea as it is not going to help. If you have sleep apnea problem either consult a doctor for a better remedy or use the professional Zyppah for best results. Snoring is not only harmful to your health but also for your partner. Using Zyppah can prevent snoring problems and help to improve sleep. This will help you both to wake up fresh and with full energy to face day to day challenges. No need to hear complaints and resentments as you were hearing for the past years from your spouse and relatives. This is an FDA cleared product. It is an made in USA product and designed by an expert American dentist who is well educated. There are a few common complaints from customers about this product. Some customers did not line the fit and were not comfortable wearing this product. Some experience drooling or jaw softness after wearing this product. This product cannot be worn by people with bridges, crowns or dentures. There were also complaints about poor customer service and return policies. This product comes with a 90 day return guarantee. The guarantee period can be extended for more time until you adjust with the oral appliance. For further details regarding this you can call the customer support representatives. You can get another 90 days additional if you purchase the Snap cleanser along with the device. For every query you can directly contact Zyppah. Contact a Zyppah trained specialist to know more about this amazing product. Here is the toll free number you can contact: (800) 875 -3370. You can talk anytime (24 hours and 7 days a week). Or email to WeCare@zyppah.com for more details. Zyppah is a simple device which directly fits into the mouth and stops snoring problems. It holds the tongue at the right place and improves air flow. Improved air flow means healthy life and free from body damage. The only problem is holding the device inside the mouth all night and it seems really difficult. But with practice and use you will get used to it soon. 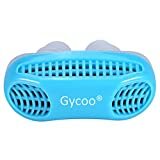 Most of the customers who used this product have found it really useful and have helped them to overcome snoring problems.